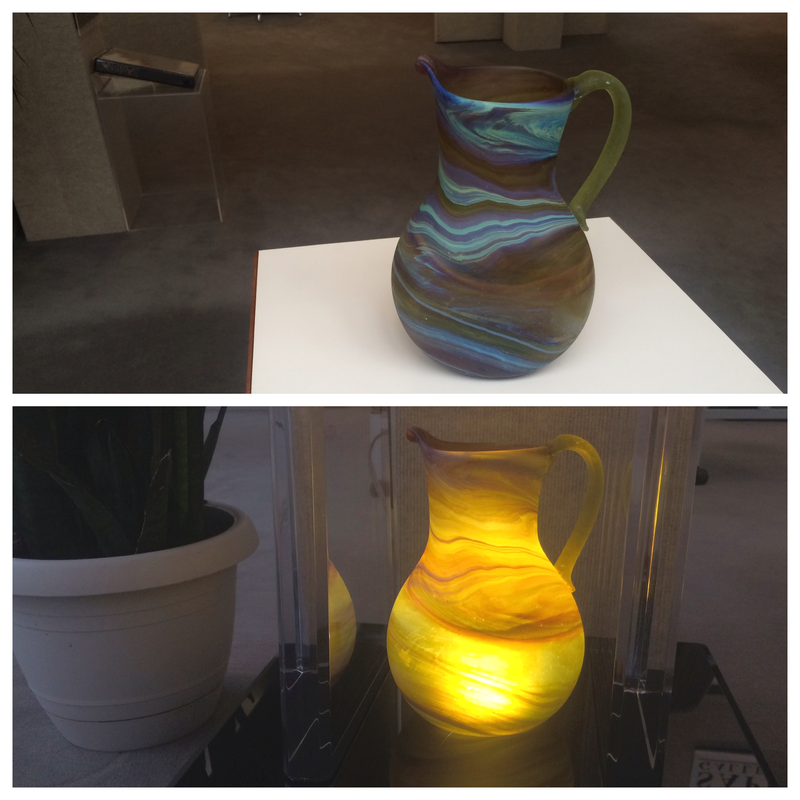 A Hebron glass pitcher as it appears normally and when illuminated. The Venetian island of Murano is probably the most famous destination for glassware collectors. But a Palestinian city in the West Bank might give the Bride of the Sea a run for her money. The city of Hebron is well known for its hand-blown glass traditions dating back thousands of years. And East Lansing happens to be home to the largest collection of the unique glass outside of the Middle East. “What distinguishes Hebron glass from so many other arm forms is that it’s all centered on one dot on the map,” says Roy Saper, owner of Saper Galleries where the collection is housed. Middle Eastern artisans use sand from the Dead Sea to blow the glass. The addition of cobalt and other chemicals gives the glass it’s unique coloring. To make the pieces, glass is heated to a temperature where it becomes molten and taffy-like. The artisan creates the swirl design when he or she blows the glass using a hollow metal tube. “What’s truly remarkable is that you only see this exact technique and style with Hebron glass,” says Saper. Hebron glass has been on Saper’s artistic radar for a while, but a trip to Israel to pick up his son from an internship jump-started his own collection. 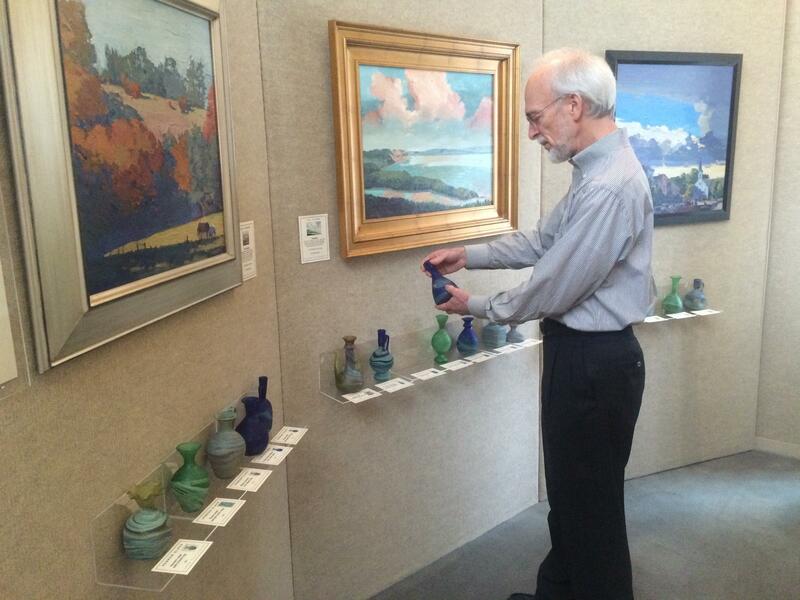 The artist says he discovered a workshop where he found shelves upon shelves of Hebron glass. It was then that he made a commitment to share this beautiful glass with the world. Not even a detainment by Israeli soldiers could keep Saper from bringing the art back to Michigan. “When we were at a checkpoint, we were separated from my son because someone had given him a Quran as a gift,” says Saper. Fortunately, the family had been tipped off that they wouldn’t be able to bring the Hebron glass back to Israel. Saper had already arranged to have the glass shipped to America. 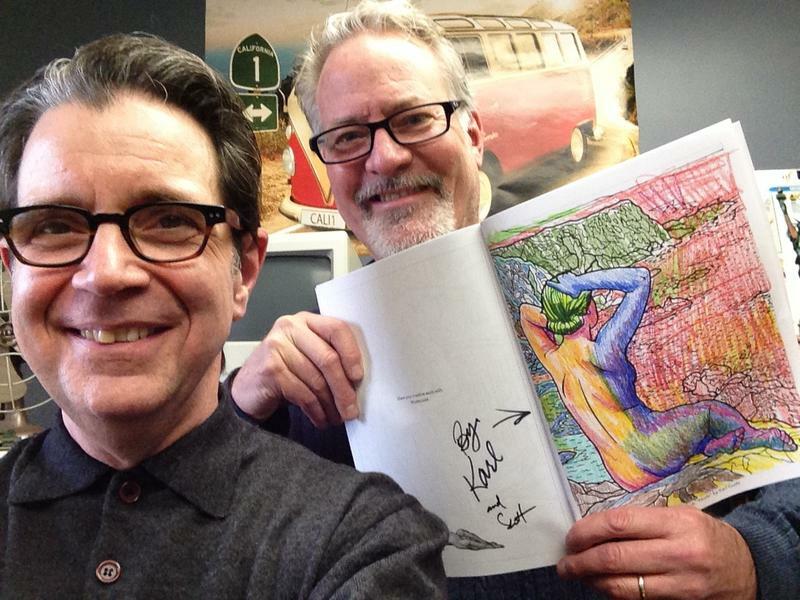 Now the art resides safely in Saper’s gallery in East Lansing. Saper would like you to consider something the next time you can’t peel your eyes away from the striking beauty of Hebron glass. 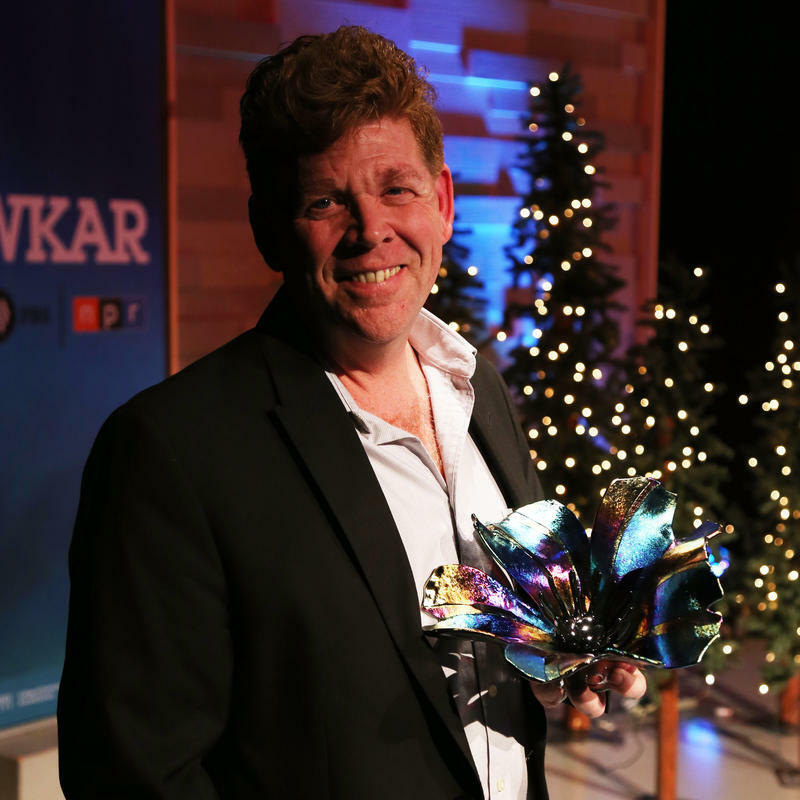 The Arts Council of Greater Lansing recently honored the work of glass artist Craig Mitchell Smith. Smith’s work has been shown all over the world. He talks with Current State about his career. If you’re looking for new ways for you and your family to be creative, there’s a new community art space in Lansing that provides a variety of opportunities. 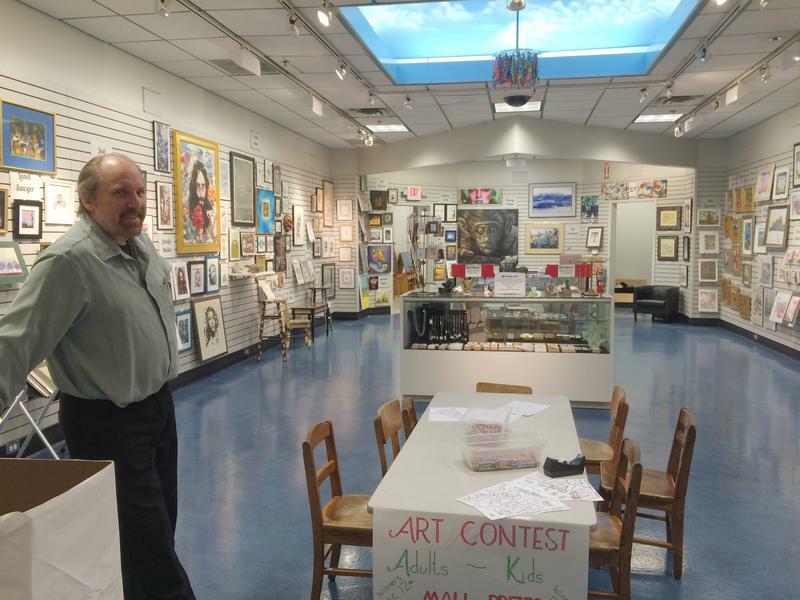 Keys to Creativity is an art gallery in the Lansing Mall that hosts events and offers classes for all ages. We talk with founder Larry Grudt.